The three day SWATA Meeting and Symposium provides athletic trainers and other health care professionals with opportunities for continuing education and a chance to discuss the concerns and issues faced in our profession. The Program Comittee is once again assembling an outstanding program. During the conference, you will be able to choose from various sessions covering a wide range of topics. We will be updating the Professional and Student program tabs as elements are finalized. SWATA is seeking approval for 14.25 CEU's. There will be EBP's embedded – Stay tuned! At 11:00pm (CST) June 15th you will pay on-site fees by credit card to register online. 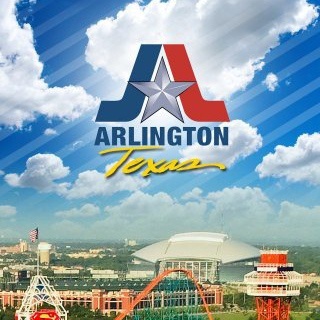 You will have to go through the onsite registration process in Arlington to pay on-site fees by check. If your pre-registration check has not been received by June 15th you will pay onsite registration fees. Athletic Trainers are often faced with critical incidents such as the death of an athlete or colleague, a catastrophic injury or a significant personal or work-related event affecting those around him or her. This course is designed for anyone who desires to increase their knowledge of individual (one-on-one) crisis intervention techniques after a traumatic event. This is a hybrid course; the first half will be “home study” prior to the course date, the second half will be “student participation and roll-play” during the course. This course is limited to 30 participants. You must be paid in full for by June 30, 2019 to participate. This course is approved for 13 Category D CEU’s. To meet the needs of athletes and help maximize their performance, a tailored approach to hydration based on the sport and the individual is needed. Led by top researchers in the hydration and heat-related illness fields, this pre-conference session will examine the latest research on each of the key factors to consider when hydration planning: fluid availability, environment and exercise intensity, in addition to breakout groups focused on the hydration needs of specific athletes. SWATA accepts payment via check or credit card. Visa and MasterCard are accepted online. To pay via check request, please complete the online registration and choose pay later as your payment option. You will receive an email confirmation with balance due notification. Grand Opening of Exhibits will be held at 8:00 am Thursday morning!